on how everything is connected . . .
from where there is despair, to where hope is now being sowed! in his Laudato Si' encyclical. A small group has been gathering monthly since January. and she will send you more details. 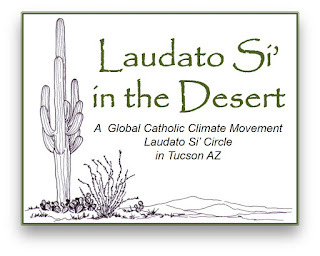 Have you been inspired by Laudato Si' ?
. . . in your parish ?
. . . in the Diocese of Tucson ?
. . . as an individual ? 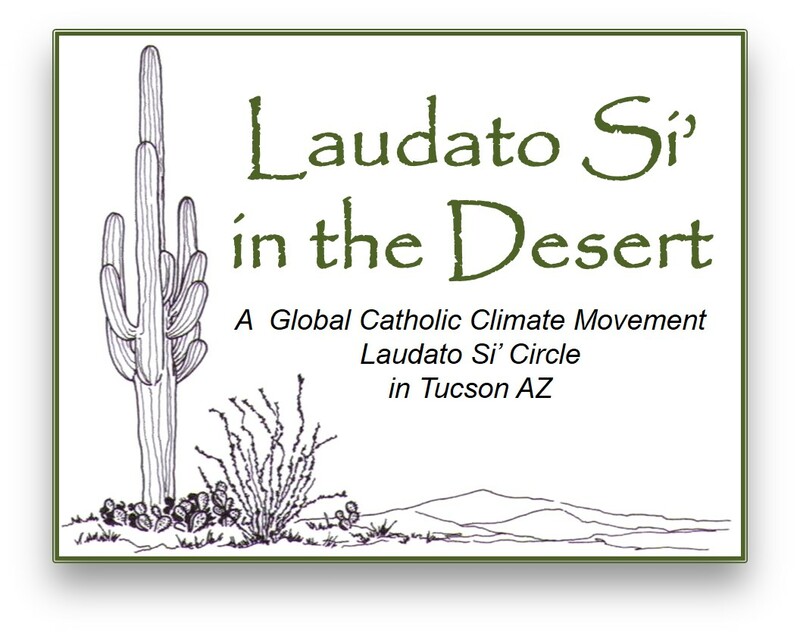 WHAT ARE LAUDATO SI' CIRCLES? Laudato Si Circles are small groups of people who gather regularly to deepen their relationship with God as Creator and all members of creation. They are comprised of people committed to the process of ecological conversion, both as individuals and collectively, with the goal of engaging in urgently needed Laudato Si action. LS Circles are rooted in three pillars of prayer, simplicity, and communal action. Click HERE for a PDF of the calendar with active links! Welcome to Holy Ground, Common Ground! Who's Under Your Carbon Footprint?